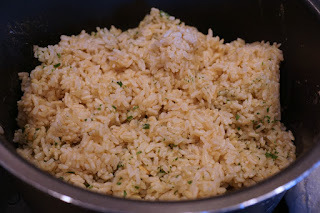 I REALLY love the rice at Chipotle, so I decided to come up with my own simple, oil-free version of the brown cilantro-lime rice to serve at home. I made my rice in the pressure cooker because it comes out perfect. 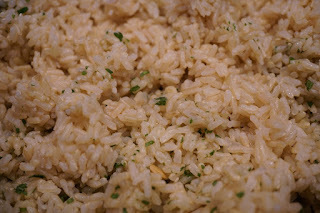 Add rice and water to the pressure cooker. Cook on pressure for 22 minutes. When the machine moved to warm, leave it in the pressure cooker for 10 additional minutes (on warm). Then, release and move rice to a large mixing bowl. Add lime juice, cilantro, and salt (if using) to your desired taste. Stir well. Serve!